The world needs another performance SUV like it needs another reality TV programme, a Michael Buble album or a president with a penchant for walls. Which means the Cupra Formentor should be as welcome as a toaster in the bath. I was tempted to respond with a knowing nod emoji – I know I shouldn’t be using emojis at my age – but on this occasion, I was prepared to leave my mind, if not entirely open, then slightly ajar. 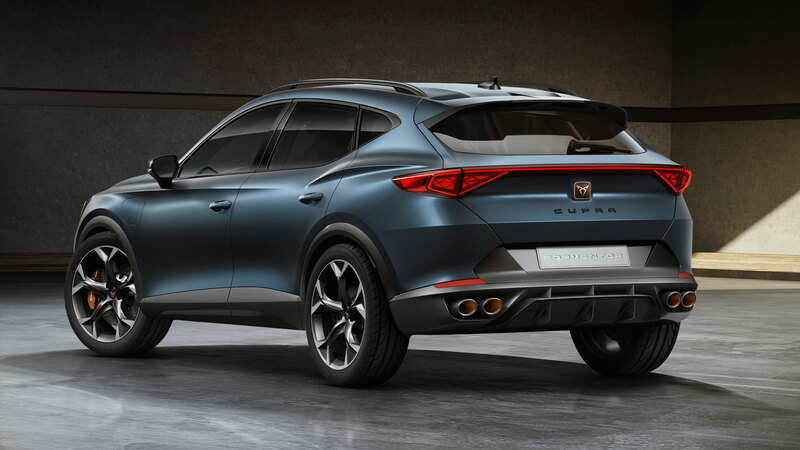 Crikey, the Cupra Formentor actually looks rather appealing. Stick it alongside the existing Cupra Ateca and it’s like comparing a running shoe with a heavy boot. If nothing else, it highlights what Cupra could achieve if it’s given free rein. Ask yourself this: does the Formentor look like a product of the Volkswagen Group? I’d suggest it doesn’t, and it’s been a while since we’ve been able to say that about the glut of SUVs from the German giant. Sure, there are hints of other brands in the styling. A touch of Alfa Romeo here, a bit of Mazda there, with glimpses of Lexus chucked in for good measure. The Cupra badge will always look like a hastily-produced afterthought, but the Formentor’s rear end is muscular and almost attractive. Almost. 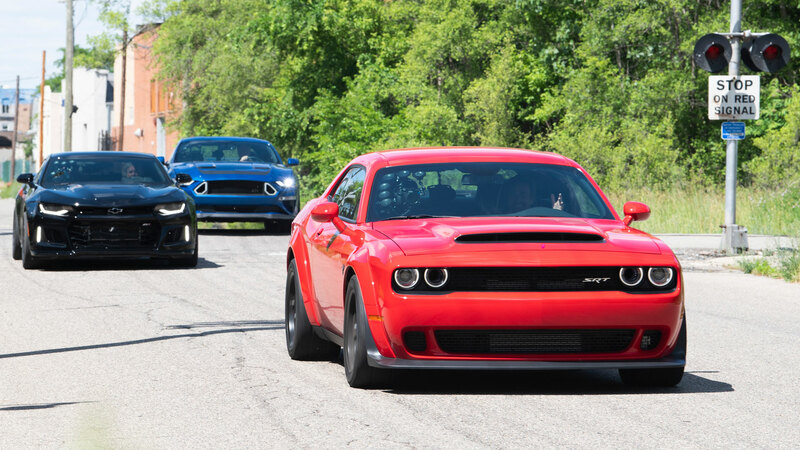 Two hundred words into this automotive confessional, it’s time to talk about the name. 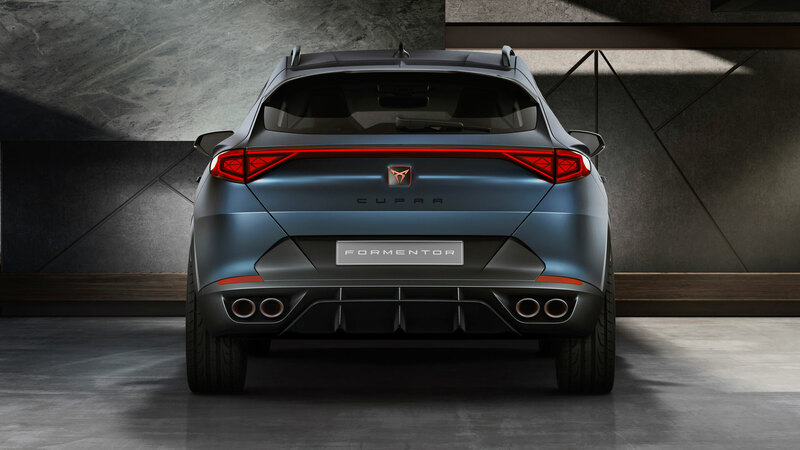 In keeping with Seat’s naming strategy, Formentor is a beautiful sun-kissed peninsula on the island of Majorca, but Cupra may have missed a trick here. Change the ‘F’ to a ‘T’ and you have one of the greatest car names on the planet. The Cupra Tormentor: perfect for chasing down unsuspecting Porsche Macan and Skoda Kodiaq vRS drivers. If it’s good enough for Mater, it’s good enough for Cupra. 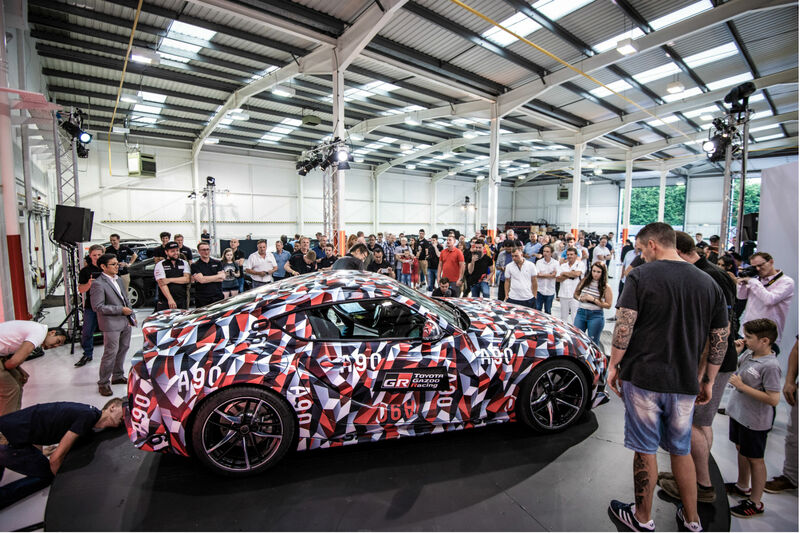 The press release for the ‘Tormentor’ says a lot without giving much away, but the concept will make its debut at next month’s Geneva Motor Show. At its heart is a 245hp plug-in hybrid powertrain, with a pure electric mode delivering up to 30 miles of zero-emissions range. Inside, the Formentor looks remarkably restrained and tasteful, with the dashboard dominated by a 10-inch ‘floating’ display and a digital cockpit similar to that in the Cupra Ateca. The badge on the steering wheel has the whiff of an aftermarket accessory, mind. I’m sure we’d all like Cupra to build a driver-focused three-door coupe, but that market is about as buoyant as a rock in a paddling pool. And a Cupra sports car would be nice, if only to give motoring journos the opportunity to say it’s not as good as a Mazda MX-5 or a Porsche 718 Cayman, depending on the power output. 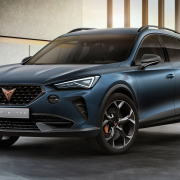 A crossover with a sloping roof, bling wheels and an infotainment screen the size of a television set thus makes perfect sense, because that’s what people want and are buying. 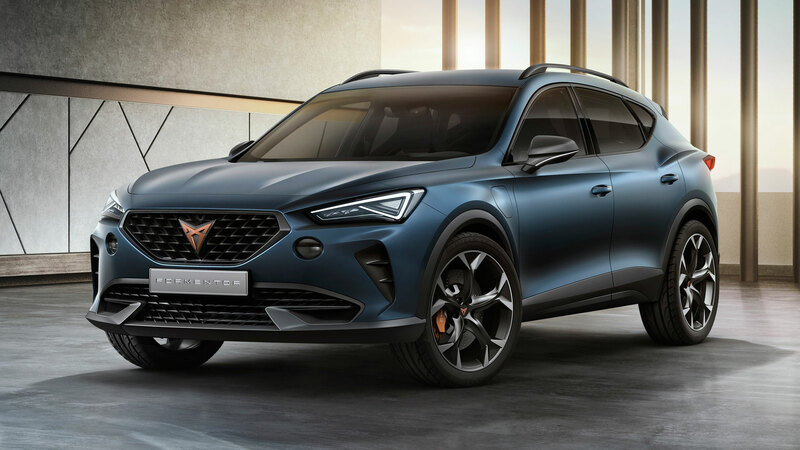 I’m not sure I’ll be joining the ‘tribes’ forming a queue to buy a Formentor when it goes on sale in 2020 – my heart belongs to the Volvo XC40 – but I doff my Cordovan hat to Cupra for forging ahead with plans to create its first standalone car. Now if you’ll excuse me, the bathwater has gone cold and the toast just popped up. 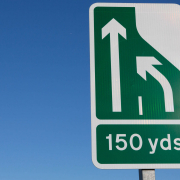 Zip merging: are we a nation divided? ‘Merge in turn’. 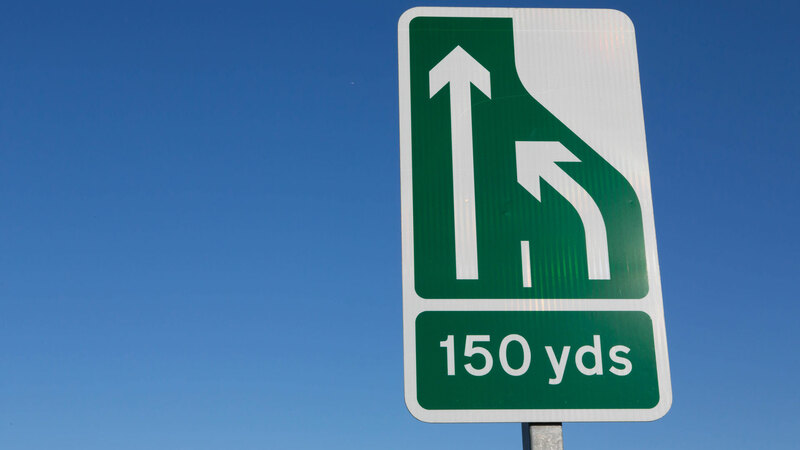 We’ve all seen the signs at the end of a two-lane section of road, but how many of us actually do it? Based on the response from BBC Radio 5 Live listeners this morning, we’re all wonderfully polite and follow the ‘zipper merge’ technique without fuss or bother. But anecdotal evidence would suggest this isn’t entirely true. For example, how many times have you seen a lorry driver move across to block the two lanes, resulting in two lines of heavy traffic behind the trailer and an entirely clear lane ahead of the cab? Or, in what appears to be an example of Britain’s obsession with queueing, you find a long line of drivers sat picking their noses and Snapchatting photos of the tailback in one lane, while the other lane lies empty, save for a few crows and the occasional wagtail. There is a third method, which involves hurtling along the asphalt equivalent of the Mary Celeste, only to barge in at the last minute. According to social media – so often the voice of common sense, balance and reason – this method invariably includes an Audi of some sort. But, aside from the retina-burning LED lights and the apparent lack of courtesy, isn’t Mr or Mrs Audi doing the right thing? ‘Zip merging’ or the ‘zipper merge’ originated from the US as a traffic flow measure designed to ease congestion when a road narrows from two or more lanes to one. In simple terms, drivers should merge at the point of closure, rather than merging in as soon as possible. 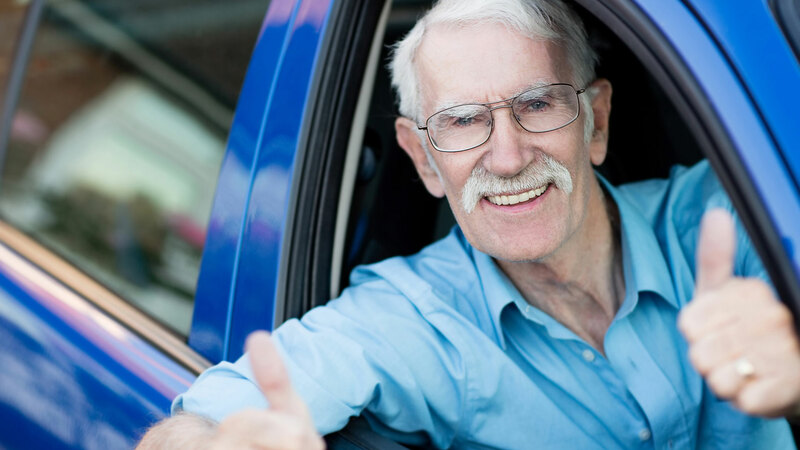 In 2008, a study conducted by Ken Johnson, a state work zone engineer in Minnesota, found that the length of the queue is reduced by up to 50 percent when drivers merge in turn. Sounds compelling enough. And yet, on this evening’s commute home from work, you will find some motorists sat shaking their heads and tutting to themselves as an Audi driver (other German brands are available) shows a total disregard for the rules of the road and our nation’s reputation for politeness. But while the terribly polite and courteous driver sits behind the wheel of their Hyundai/Skoda/Kia/Suzuki/Lexus (delete as applicable), it is they who are failing to observe the guidance of the Highway Code. Not to mention missing the first 20 minutes of Pointless. Far be it for anyone to accuse the government of sitting on the fence, but the use of ‘recommended’ is the hardly the conclusive evidence we were after. But the signs asking us to ‘merge in turn’ and ‘use both lanes’ couldn’t be any clearer. You’ve seen what can happen when the nation is divided, so on the subject of merging in turn, can we engage in a little joined-up thinking? If nothing else, you might get home in time to see the first round of Pointless. https://www.motoringresearch.com/wp-content/uploads/2019/01/zip-merging.jpg 1080 1920 Gavin Braithwaite-Smith https://www.motoringresearch.com/wp-content/uploads/2018/12/mr-top-motoring.svg Gavin Braithwaite-Smith2019-01-25 15:59:022019-01-25 15:59:02Zip merging: are we a nation divided? I’m going to come straight to the point: I’ve never really seen much value in a review of a television show. Which might seem like a strange admission at the beginning of a piece focused on examining the first episode of season three of The Grand Tour, but hear me out on this. The return of the #amazonshitcarshow – clever hashtag, guys, very clever – will guarantee at least three things. The Guardian will post a largely negative review. The tabloids will revel in the show’s silliness. And Prime Video’s viewing figures will shoot through the roof. I was asked to watch the first episode and then provide my thoughts. There are clicks at stake here and everybody is hoping to hitchhike on the back of the bandwagon that will be streamrollering online viewing figures for the coming weeks and months. There ain’t much room on this wagon, so be prepared to get cosy with your neighbour if you’re taking a ride. Which brings me back to point about being asked to review The Grand Tour. I’m not complaining – spending the first hour of a Friday morning watching Clarkson, Hammond and May mess about in Detroit was fine by me. But, honestly, do you care what I think? Put it this way. If you enjoyed the first two seasons, you’ll undoubtedly love series three. As teasers go, the near-on two-minute montage at the beginning of episode one is pretty conclusive. And it scores points for the use of Do the Strand by Roxy Music. If there’s one thing The Grand Tour does very well, it’s delivering a balance between the sensational and the incidentals. 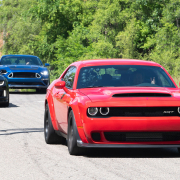 The muscle cars in Detroit segment is a feast for the ears and eyes – the sound of Hammond’s Demon echoing off the crumbling walls of ‘Motor City’ is a particular highpoint. But the smaller reference points remain at the heart of what makes The Grand Tour tick. Even the demise of the celebrity segment is brushed aside courtesy of a sharp but cruel reference to Howard from the Halifax ads and Adrian Chiles. Not that the global audience will have a clue who they are. Google it. Which is something you’ll be doing a lot following the first episode. Whether it’s watching footage of rock concerts at the Michigan Building on YouTube, trawling through images of the Conner Avenue assembly plant in its heyday, or wandering through the suburbs of Detroit on Google Street View, you’ll almost certainly lose another hour or so on the net. So that’s your Friday afternoon sorted. I’m sure the detractors will make some wisecracks about three old farts hurtling through a once rich and powerful town as some kind of metaphor for The Grand Tour’s tried and tested formula. And that’s their prerogative. But if, within the first few minutes of the show, you’re not enjoying it, why not switch it off and watch The Man in the High Castle? Or The Joy of Painting with Bob Ross. The Grand Tour exists to make people happy. “Shoot, if you want bad stuff, watch the news,” as the painter with the big hair once said. 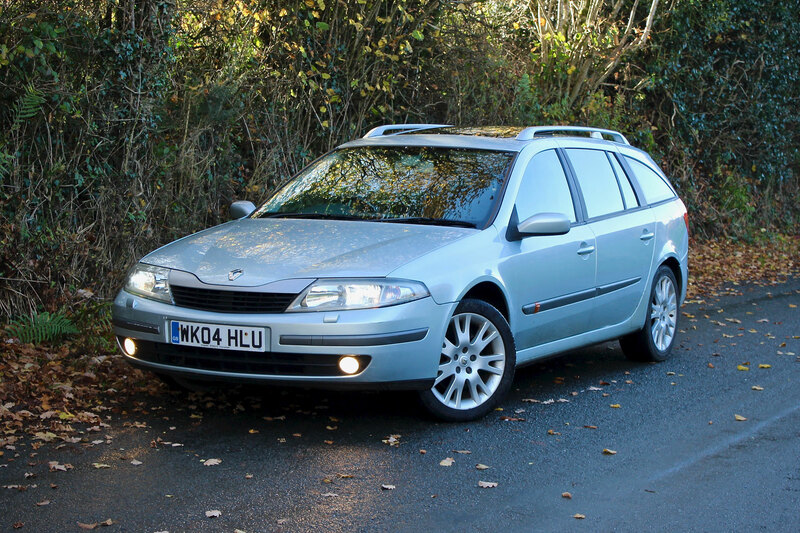 Our man spends £100 on a Renault Laguna Sport Tourer and reckons it is the best thing he has bought in 2018. He’s a little strange. 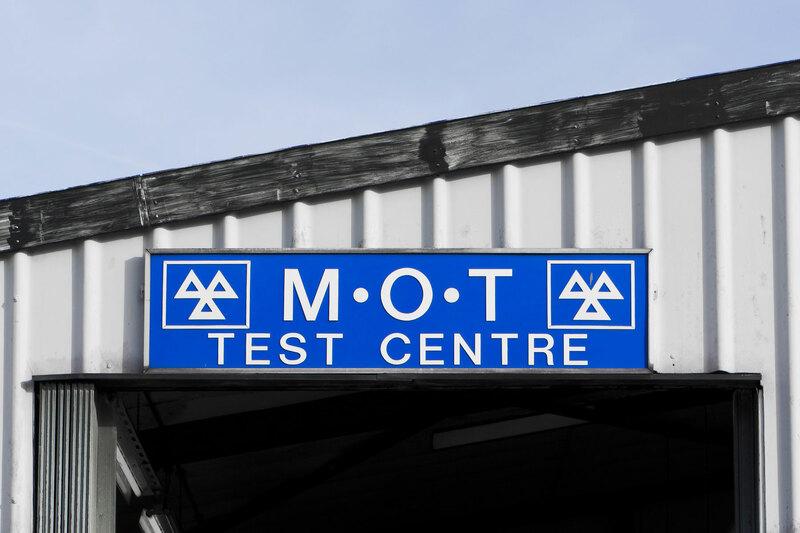 The MOT test is outdated and should be abolished, according to a white paper written by the Adam Smith Institute, a free market and neoliberalist think-tank. “Only two percent of all accidents in 2016 involved any form of mechanical failure,” the report states. “Cars are becoming smarter and safer, and accidents are directly declining as a result,” it continues. It points to evidence in the United States as justification for its call for the MOT test be abolished or “at least be overhauled substantially”, referencing New Jersey, where the inspection programme ended in 2010. Figures suggest that the repeal of the inspection programme resulted in a reduction in the number of accidents due to care failure, the study suggests. Resources should be ploughed into driver education, says the report’s author Alex Hoagland, citing the fact that 65 percent of accidents are due to driver-specific behaviours, such as speed, drink-driving and not wearing a seatbelt. “Increased focus on distracted and unsafe driving practices will surely be more effective at reducing fatalities than any vehicular inspection,” the report concludes. AA president Edmund King is unimpressed, labelling the report as “rubbish” when tweeting a link to the story on the Daily Mail website. Abolishing the MOT test would be madness. While it’s true that the test is a merely a measure of a car’s roadworthiness on the day of the inspection – a bulb could blow or a driver could take a chunk out of a tyre on the journey home – it focuses the mind of the motorist. Labelling the MOT an “overly burdensome weight” on drivers is complete nonsense. 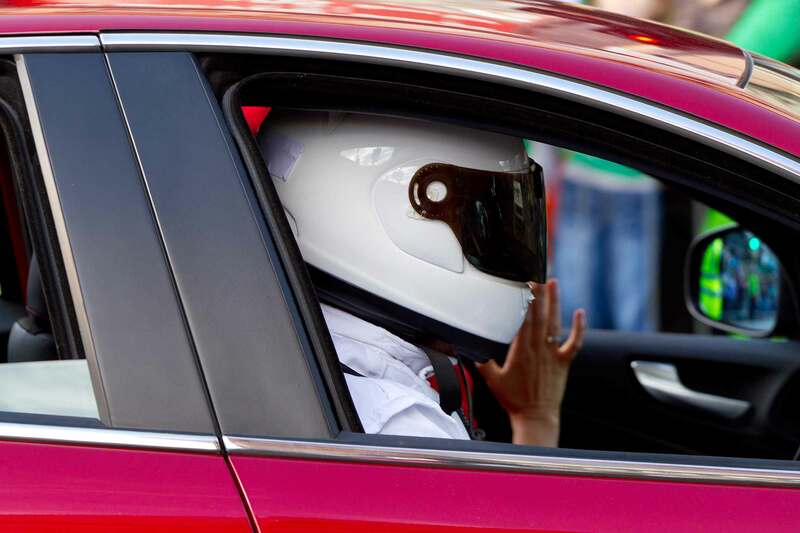 In an age when cars can all but drive themselves, and motorists feel cocooned in their Euro NCAP-tested bubbles, it’s as critical as it has ever been to make people aware that driving comes with a responsibility to care for a car and other road users. The report mentions the 20,000 approved test centres and the £250 million annual revenue for local garages. So what? We should be supporting the independent garages, not labelling them as crooks by referencing “higher markups” and “handsome sums”. Yes, there are a few – how can I put this? – less scrupulous garages, but the government should do more to clamp down on these operations. It’s not the job of a think-tank to tarnish all the local garages with the same brush. These businesses provide jobs, deliver independent advice and offer cheaper maintenance for cash-strapped motorists. Sure, throw money behind improving driver education, but that should extend to encouraging greater care of the nation’s cars, not removing the annual safety net. We’ve all seen cars with bald tyres, blown headlight bulbs and more exhaust smoke than a vaper outside a Wetherspoons. 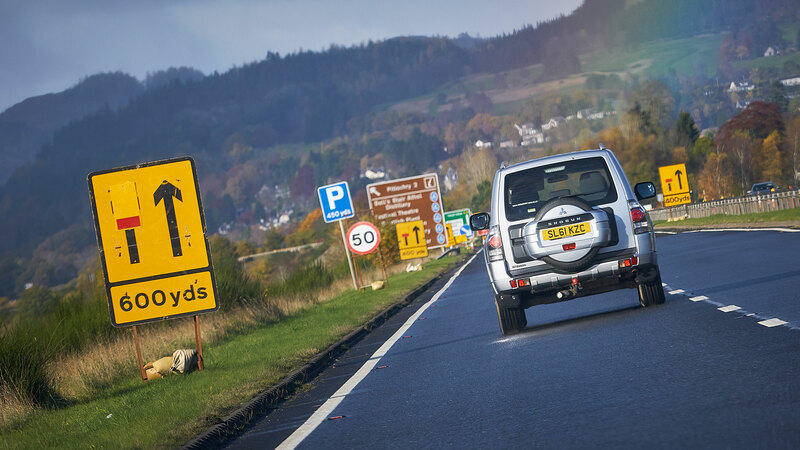 Perhaps acknowledging that abolishing the MOT might be a step too far – at least in the short term – the report calls for a separate test for carbon emissions and increasing the testable age of new vehicles from three to five years. Again, that’s bunkum. Why split the test when it works OK as one? And as for increasing the testable age of new vehicles – yeah, because tyres, wipers and headlights will almost certainly last that long, won’t they? If, as the report suggests, garages are profiting from the MOT test, why not adopt the French method by having independent inspection centres, where repairs cannot be carried out? The potential for roguish acts is all but eradicated. 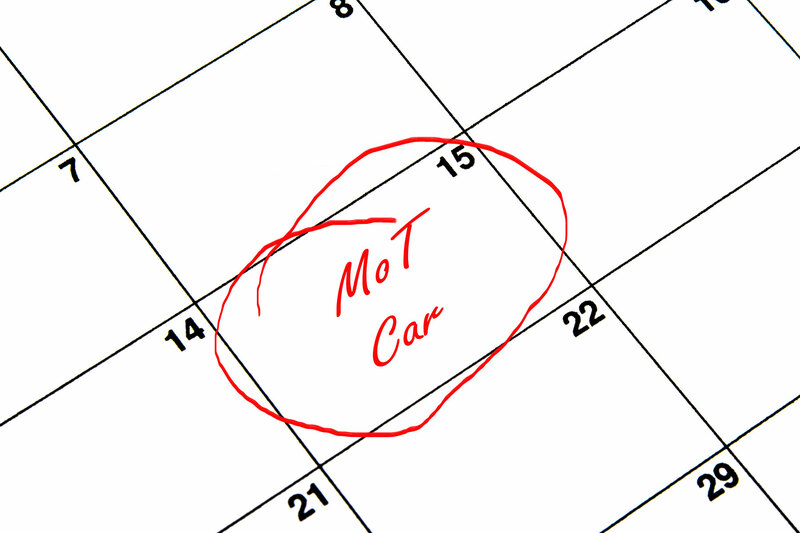 Many drivers think about the roadworthiness and safety of their vehicle just once a year, when the MOT is about to expire, treating the car like an extension of their living room for the other 364 days of the year. Abolish the MOT, and we’ll lose the annual safety check and potentially many local garages. Sorry, but I’m with the AA on this one. The MOT test must stay. 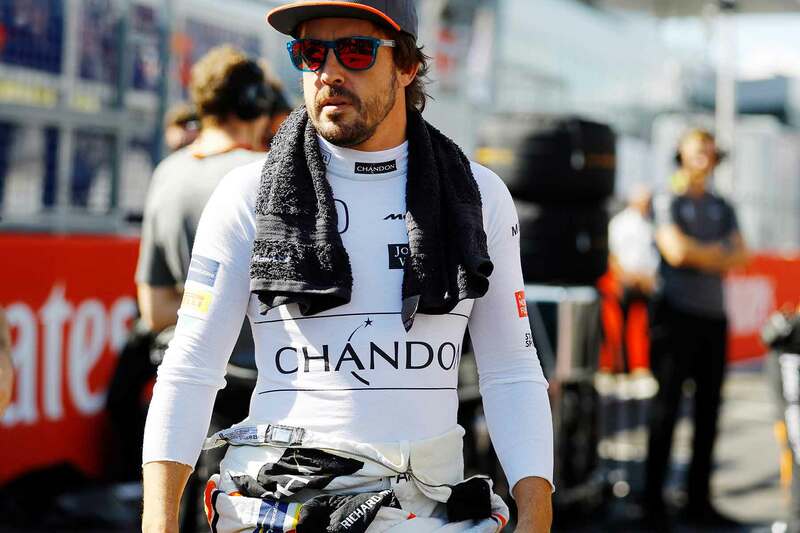 Opinion: Is Fernando Alonso’s career history in the making? Recent history hasn’t been kind to Fernando Alonso. He spent years with Ferrari, almost winning the F1 World Championship, but nearly wasn’t good enough and he left in a huff to go and win with a McLaren team renewing its famed partnership with Honda instead. Umm… that hasn’t quite gone to plan either. 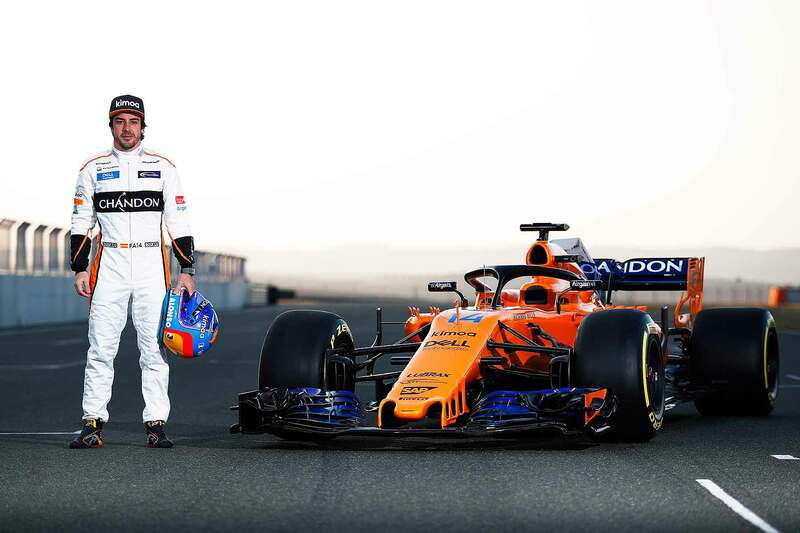 Three years of abject failure by Honda has seen virtually all McLaren’s big-name sponsors desert it, and Fernando almost run out of very slow things to publically compare the car to over the in-race radio. GP2 car? F3 car? Honda Jazz? Even his most ardent detractors couldn’t help but have sympathy. Is motorsport making electrified cars cool? Perhaps inevitably, McLaren itself almost lost arguably the most gifted F1 driver of his generation. As it earlier lost one of the other most gifted talents, Lewis Hamilton, it didn’t want a repeat. So it spent months and millions on lawyers to ditch Honda and nab a Renault engine. Not the fastest engine, no, but certainly one powerful enough to take Red Bull Racing to a couple of wins last year. You’d have to put money on it doing the same for Alonso this year. But there’s more. Because the day job’s been so pitiful over the past few years, Alonso’s looked elsewhere. 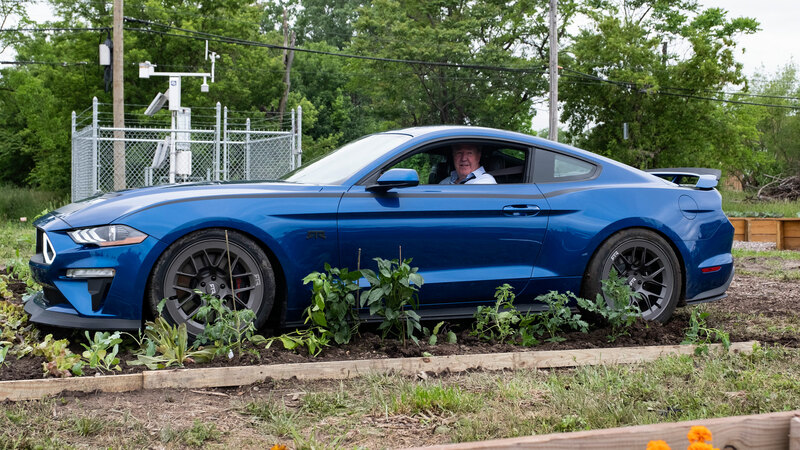 He started by driving a Honda-powered car in the 2017 Indy 500, a Blue Riband event that he was looking good for until, ahem, the engine went pop. 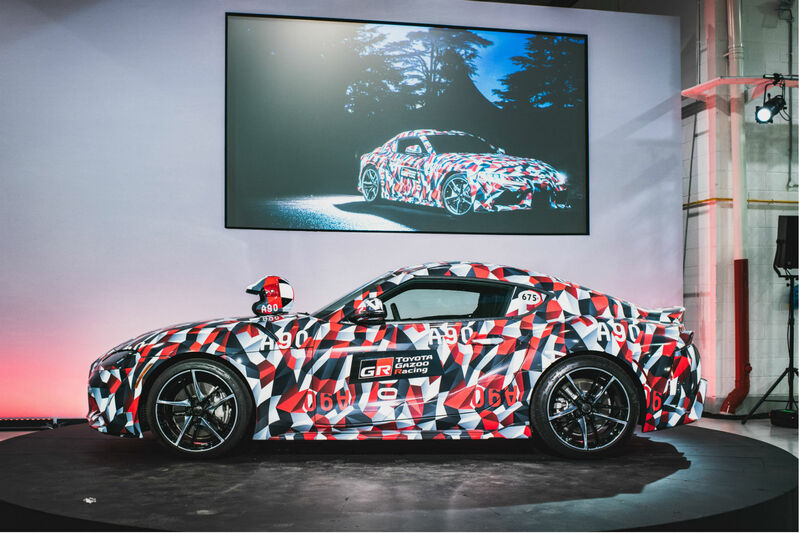 Earlier this year, he drove in the Daytona 500 sports car race, another classic. And now, he’s going one better, by entering as many World Endurance Championship races as he can, behind the wheel of the much-fancied Toyota LMP1 car. Including, you’ve got it the Le Mans 24 Hours. See what he’s doing here? 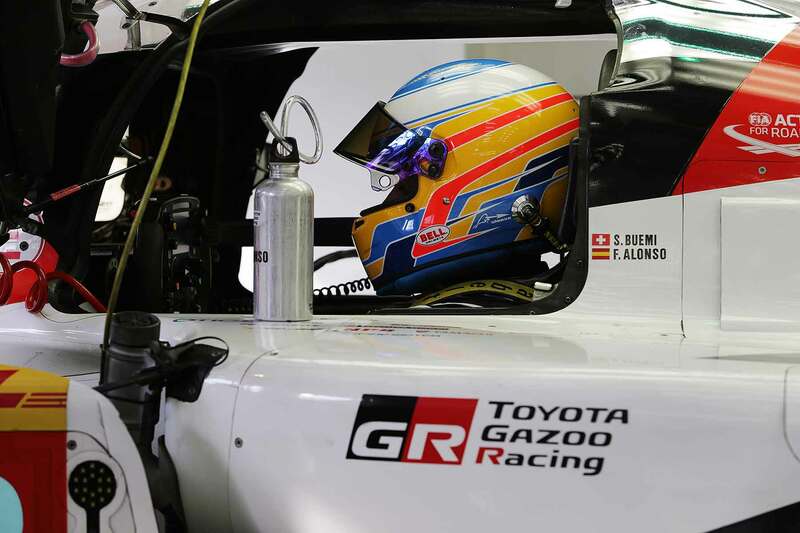 Alonso, for years, was seen as a quick driver but also a bit of a sulky bugger. A deserving two-time World Champion, but yet another destined to have things fizzled out by Ferrari (take note, Sebastien Vettel…) before making up the numbers and retiring. He’s having none of that. If the way he’s battled chronically slow McLarens for the past three years isn’t proof of that, his newfound determination to drive in every classic motor race going, and try to win it, should be. Nando doesn’t just want to be an F1 winner, he wants to be a genuine motor racing legend, someone proving his speed in as many disciplines as possible, not just F1. This is what our racing heroes of years gone by used to do. Sir Stirling Moss, Jim Clark, Sir Jackie Stewart, all barely had a weekend off when in their prime, so many different cars were they driving. 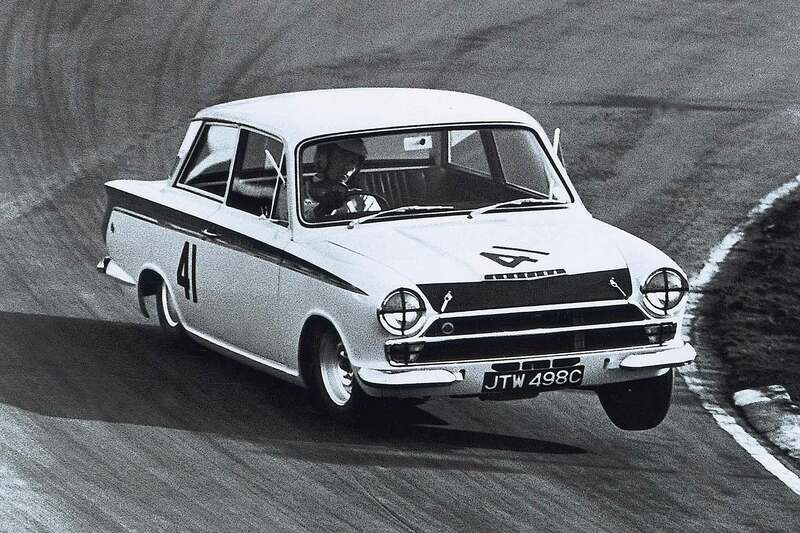 That famous shot of Jim Clark in a Lotus Cortina? That was no mere demonstration – he was racing. Alonso might well be doing the same. He might be the Mario Andretti of our generation, still driving well into his 60s. Let’s relish it, racing fans. One of the greatest stories in motor racing might be unfolding before our very eyes. https://www.motoringresearch.com/wp-content/uploads/2018/03/Fernando_Alonso.jpg 1200 1800 Richard Aucock https://www.motoringresearch.com/wp-content/uploads/2018/12/mr-top-motoring.svg Richard Aucock2018-06-18 08:47:202018-08-14 16:27:46Opinion: Is Fernando Alonso’s career history in the making? Matt Le Blanc has announced that he will be leaving Top Gear after the next series. As a result, speculation about his replacement is dialling itself to eleven. Every automotive YouTuber in the western hemisphere seems to have either been proposed on social media or volunteered themselves. Presenting Top Gear must be like joining the Royal Family, only without the initial day of well-wishing and riding in cool cars and carriages. Whatever you do or say will be wrong in the eyes of someone with a mobile phone and an internet connection. You’re going to need a hide like a rhinoceros to suffer that for long. Some people are questioning if three presenters are needed. We know from previous attempts that six presenters is too many. We also know that an odd number works for presenting, storytelling and challenges, as then you can have an overwhelming dissenting option. Three is the magic number, then. So yes, someone else is needed. The chances are that BBC management will want a ‘name’ to front the show, someone recognisable on posters without needing an explanation. It’s also likely they’d prefer a lady to have a more prominent role than Sabine. I don’t think either of those attributes is vital, although a female presenter would help break comparisons with The Grand Tour. There are three things needed in any motoring television presenter, or we viewers will see right through them. Firstly, they need to like cars. 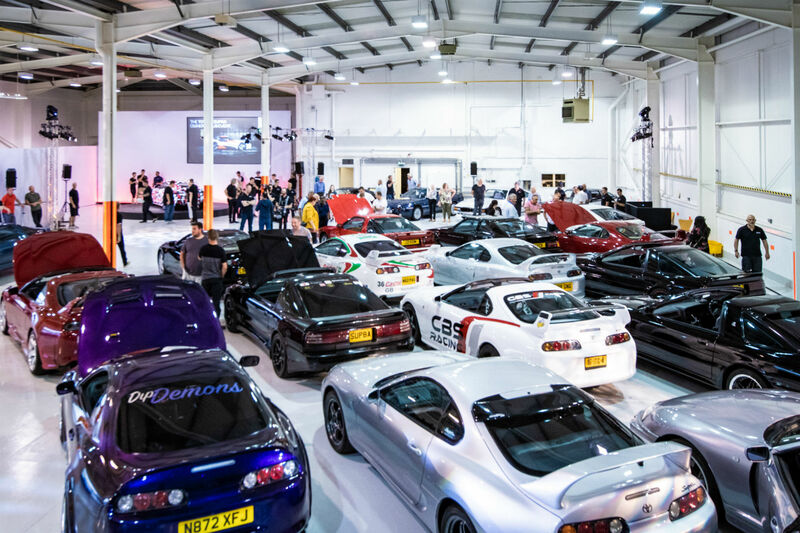 This doesn’t mean simply owning a curated collection of fast cars, but liking cars from all eras and at all price points, to be able to enthuse equally over the merits of an MG Metro and a Koenigsegg Agera. Secondly, a presenter needs to be believable. They need to have the ability to describe the workings of a vehicle without sounding like they’re merely repeating a script or technical press release. The need to have at least a basic understanding and appreciation of how stuff works. Lastly, they need to be able to gel with the other presenters and be part of a team. If Top Gear doesn’t have that, it may as well return to being a “back to the studio” magazine programme on a Thursday evening. It’s a shame that Matt is leaving, as the current iteration of Top Gear is settling down and finding its comfort zone, with the presenters gelling and joshing in a way that’s perfect for Sunday evening TV. I’m not going to propose who should replace him after the next series, but I’m pretty sure that whoever does won’t be anyone we’re expecting. 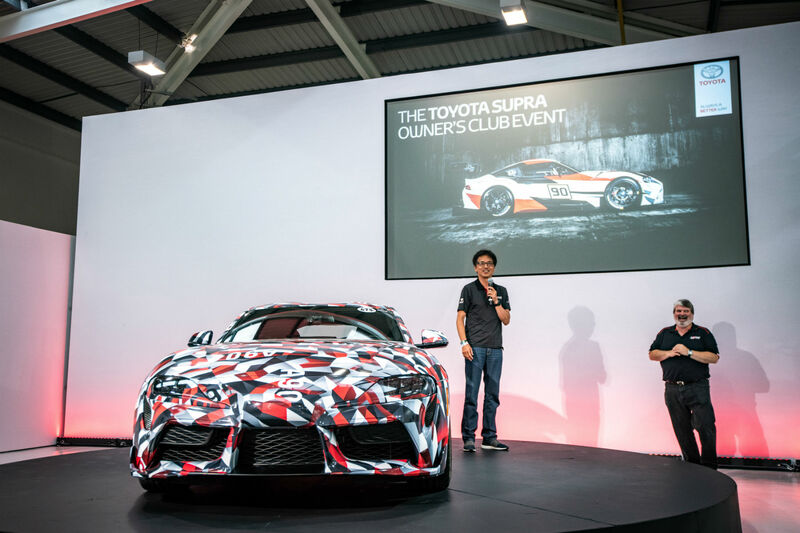 Akio Toyoda, President of Toyota, recently announced that he has “decided to ‘redesign’ Toyota from a car-making company into a mobility company. Mobility is an interesting concept, and I’m truly curious what it could look like when it involves a global company like Toyota. We’re all familiar with the ride-share company use of “mobility” to describe, in one way or another, what’s basically a minicab, but even companies like Uber are stretching their scope to include things such as electric scooter hire. This short and medium distance enablement is fine and dandy in sunny, beautiful and urbanised California, but what does it mean for those of us in the real world? What could ‘mobility’ look like? Let’s look at an example of what’s possible. I regularly travel to the town of Helsingborg in Sweden, and the route I take is an excellent example of multi-modal transportation. Here’s what happens. At the Station I buy a combined rail and ferry ticket from there to Helsingborg and board a train for Helsingør. At Helsingør I swap to a ferry which crosses the Öresund to Helsingborg. There are five or six different transactions there, each separate and each needing to be changed or altered in isolation if something fails. Which, sometimes, it does. Mobility, then, is when I declare that I wish to get from my house to Helsingborg on a particular date, and within defined time and cost constraints. It involves me simply pressing a button and make a payment: all the bookings and scheduling happen in that one single transaction. Better than that, because I’ve requested a “Home to Helsingborg Service” it’s all integrated. If I get held up in traffic, or the train I’ve been directed to (as it’s theoretically faster) turns out to be delayed enough that I’m late for my flight, the service will re-route me to a different car park, plane, train or ferry, seamlessly and instantly. At least, that’s my interpretation of ‘mobility’, as opposed to transport, and you know what? I’m all in favour of that future. No one company will ever have complete control of a series of transactions like that, but there’s no reason that a large, global company can’t forge the necessary codeshare relationships and fill the appropriate gaps to make ‘one transaction mobility’ a reality. I’ve now just about recovered from this year’s Tour de Yorkshire Ride. 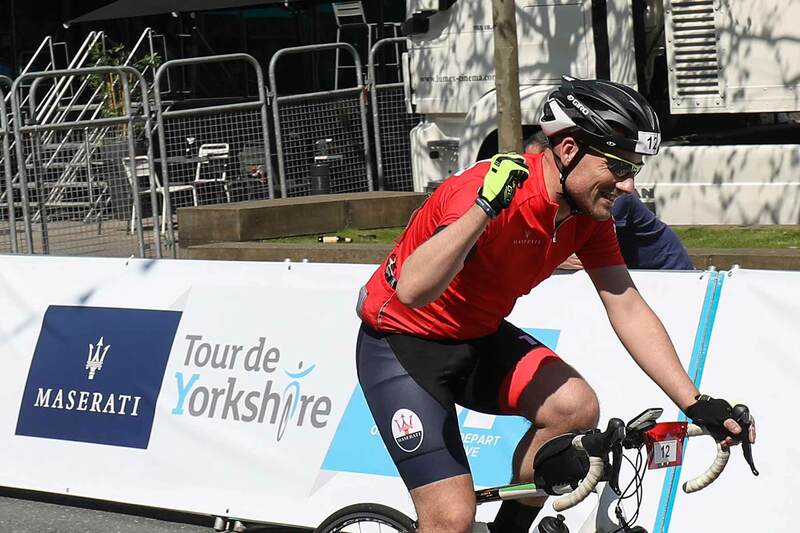 Held on the final day of the cross-Yorkshire epic, we sportive riders get to cycle the same route as the pros do later in the day. It’s a great warm-up for the crowds, and a killer for us riders. I did the full long route, 129 kilometres and over 2,500 feet of climbs. The pain in my leg muscles was at times crippling, so intense were the ascents. It was yet another reminder of how superhuman pro riders are. But I made it, and even managed a fist-pump over the finish line, before turning the corner and receiving my medal in the riders’ cool-down area that had water and (low alcohol) beer, food, massage tents… and a couple of Maseratis on display. When you’re title sponsor, you get to do that. 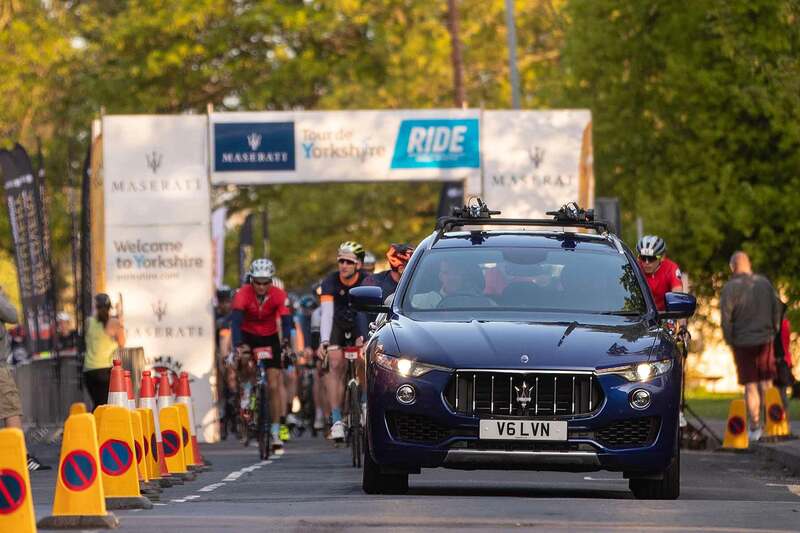 At first, it’s not obvious what links led Maserati to back the Tour de Yorkshire. Sure, the numbers are impressive – 2.5 million spectators along the route, claims that the Tour de Yorkshire was watched by more people than the iconic Giro d’Italia held the same weekend, neither is to be sniffed at. But what’s the hook that makes it genuine rather than opportunistic? Our customers, says Maserati. Ever-more of them are choosing, in their spare time, to take up cycling. By their nature, they are generally well off, and so able to invest in expensive bicycles and equipment. They love brands, and authenticity, and storied marques with history and tales to tell. Just as they lust after Bianchi and Pinarello bicycles, so too might a bit of awareness see them ogling Maseratis, goes the thinking. Particularly as it now has the bicycle-friendly Levante SUV. I drove up to Yorkshire in one and, as the city centre car park had tight height restrictions, chose to stick my bike in the back. I dropped the seats and it went straight in; I didn’t even have to take the wheels off. Riders who are chancing a quick Sunday morning blast before lunch with the family (and thus don’t want to faff with roof bars or cycle racks) appreciate this: making Maseratis more practical has strengthened the logic of the partnership. 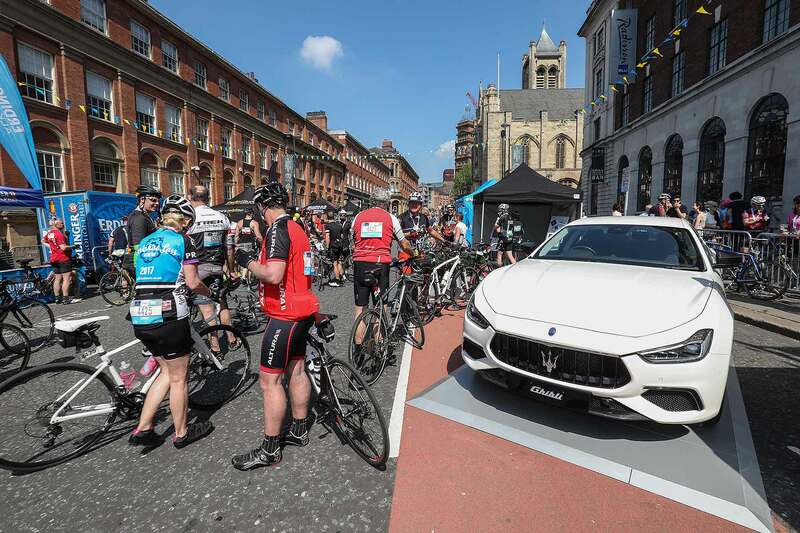 Maserati’s been title sponsor of Tour de Yorkshire for four years now. For a firm that doesn’t make bicycles or field competitive teams in the sport, it doesn’t seem an obvious link. But, thanks to the boom in cycling, it actually makes more sense amongst its target customers than you may first realise.